ASSOCHAM (The Associated Chambers of Commerce & Industry of India), the apex trade association of India, recently honoured Dr Agarwal’s Eye Hospital with Indo-African Champion in Biz Awards 2016. Hosted by the ASSOCHAM India Africa Trade and Investment Forum, the award was is in recognition of Dr Agarwal’s Eye Hospital’s exemplary contribution towards the healthcare sector in Africa. The award was received by Mr.S. Rajagopalan, Managing Director, Dr. Agarwal’s Group of Eye Hospitals, on behalf of the group. Dr. Agarwal’s Eye Hospital has not only pioneered state-of-the-art eye care in India, but also across the African continent. Today, the group has 14 facilities spread across 10 African countries making it the fastest growing eye care chain in the continent. True to its mission of delivering world-class ophthalmological solutions, Dr. Agarwal’s Eye Hospital has served more than 34 lakh patients in the continent. Their advanced and novel surgical interventions have saved the vision of more than 4000 patients. 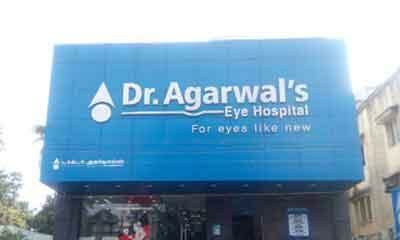 Dr. Agarwal’s has also been in the forefront of promoting eye care awareness programmes; they conduct free screening programmes at regular intervals and also promote eye donation.